When should I start sleep training? Teaching your baby good sleep habits should be done from a very early age. “By three months, sleep habits are fairly set,” says Dr. Jodi Mindell, a pediatric sleep specialist. So it’s crucial to start baby sleep training before this age. To clarify, my definition of “sleep training” is simply the process of helping your baby get to sleep, and stay asleep by teaching good sleep habits. Sleep training should not be confused and used synonymously with the “cry it out” technique. CIO is a sleep training technique but there are many others. There are some parts of baby sleep training that you can do very early on, and others that should wait. The first part of sleep training which is a bedtime routine, can be done within the first few weeks. Starting a bedtime routine, is a great start and also helps with day/night confusion. Day/night confusion can resolve as fast as 2 weeks, and for other babies it can take up to 8 weeks. Starting a bedtime routine will help the day/night reversal by helping your baby associate nighttime with sleep. Create a routine that works best for you and your baby. Incorporate some activities your baby really enjoys. Here are some ideas: Sing a lullaby, a light massage, read a book, some cuddles, or anything else that helps calm your baby before bed. Keep the routine the same every night. This will help keep consistency, and will let your baby know exactly what to expect. When a baby knows what to expect, she is less likely to feel anxious about bedtime. Another aspect of sleep training is putting your baby down awake…yes awake. How you put your baby to sleep, is how she will expect to fall asleep when she wakes up in the middle of the night. So if you put your baby to sleep awake and she falls asleep on her own, then she will do the same in the middle of the night without your help. You can lay your baby down to sleep awake as early as the newborn age. Certainly you don’t want to force a young baby to do this, but sometimes just laying your baby down to see what happens, may surprise you. Some babies can at a very young age, just drift off to sleep without a fuss. The next part of baby sleep training is getting your baby to sleep through the night without any feedings, if she is ready of course. Now the age for when this happens varies, and the best person to ask is your Pediatrician. Your Pediatrician knows your baby best. In order to start weaning your baby off of night-time feedings, your baby should be steadily gaining weight, growing in height, and not have any medical conditions. Most pediatricians and sleep experts says anywhere between 3-6 months, a baby is ready to sleep through the night without any feedings. At this point you can start testing your baby to see if she is truly hungry or just using you for comfort. Now just because some babies are ready at this age, doesn’t mean they will sleep through the night. 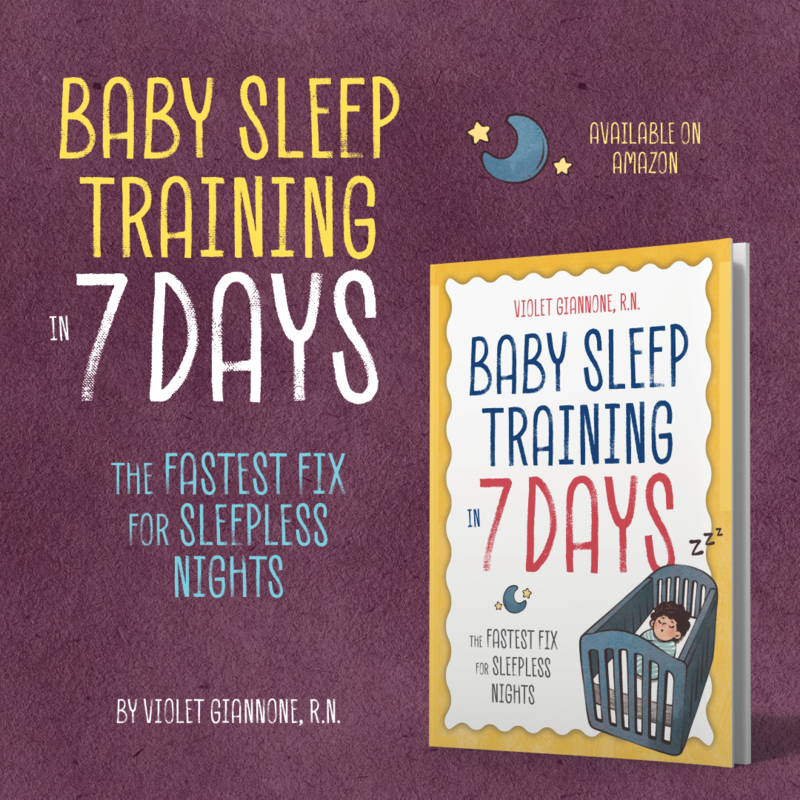 Some babies need some help learning good sleep habits, and reversing bad ones. That’s where sleep training comes in. Creating a consistent bedtime, following an age appropriate sleep schedule, teaching your baby to fall asleep on his/her own, and responding appropriately to nighttime wakings are some of the components of sleep training that will help your baby sleep through the night. Sleep training is not easy and it will never be perfect. Here are some bumps in the road you can expect during the first year. This doesn’t mean you should avoid all of these bumps, but certainly keep them in the back of your mind. Handling these bumps appropriately, will be the key to your sleep training success. Day/night confusion. It can take a baby 6-8 weeks to get over day/night confusion. Your baby’s sleep-wake cycle doesn’t start to develop until 6 weeks. By 3-6 months most infants have a regular sleep-wake cycle according to the National Sleep Foundation. Your baby won’t start producing enough melatonin, the hormone that helps us sleep, until about 2-3 months. Getting to sleep and staying sleep might take some effort before this age. First sleep regression. Baby is learning new skills, rolling, turning, kicking and wants to practice even at night when she should be sleeping. Sitting. Babies love to practice sitting, especially when you lay them down to sleep.This will pass once your baby has mastered the skill. 2nd sleep regression. Babies loves practicing their emerging skills like crawling in their sleep. It’s going to be hard to get your baby to sleep. Be patient. Once your baby figures out the skill she is practicing, she will go back to a normal sleep schedule. Babies also understand object permanence at this age. Meaning they know something exists even when its not in sight. So when your baby wakes up at night she may miss you, and may start looking for you. Separation anxiety starts to peak. 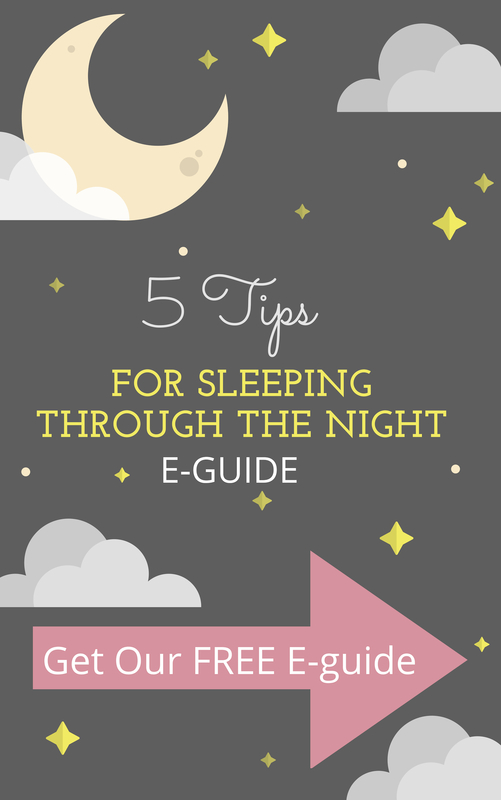 It’s going to be hard for your baby to fall asleep and stay asleep some nights. Especially when you come back from a party or event, where your baby was around many unfamiliar faces. Your baby may be nervous about separating from you. Standing. There will be times when you are going to lay your baby down, and up to a standing position she will go. Your baby may practice this skill over and over until it is mastered. Language development. Babies are thinking of words they have learned, and may be practicing them in their little heads, when they should be sleeping. 12 month regression. Babies are going through tremendous physical development as they are learning to walk and even climb. This can definitely carry over into sleep. At this age, your baby enjoys “testing” you. Now that she is discovering that what she does, has a direct effect on your reaction, she may start to refuse naps and bedtime, just to see what you will do. You might of had a very easy baby up until this point, and now she may start fighting all sleep times. You can definitely work around these bumps, or figure them in to your sleep training plan. If you wait, you may never have a chance to sleep train because a baby is constantly developing, physically and cognitively. The only time I really don’t recommended sleep training is when a baby is sick or uncomfortable. If you are ready, but have no idea how and when to start sleep training, I offer personalized sleep plans and support. I will create a step by step sleep plan of how to help your baby to sleep well, based on your baby’s unique situation. I will also be only an email away when questions come up during training. Please take a look a my Sleep Consultation Packages, or see what others are saying about how I have helped their little ones sleep through the night. 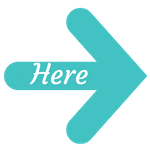 I am new to your site and am finding a lot of your info helpful, so thank you in advance! My baby boy is 3 months and 2 weeks and I am sure he is going through some time of growth spurt or sleep regression(fighting naps, waking up all of the sudden, waking when I put him down, cranky and clingy more then ever before!) Is it too late to start sleep training, and if not, is now a bad time? I am having anxiety about when I go back to work in three weeks because my husband will have to put him to bed, and right now, we have a bath-pjs-nurse routine. I EBF and he is not taking well to the bottle right now. He takes it sometimes, but not all of the time. He used to put himself to sleep after I would lay him down after eating at around 9:30pm, but that was only a few lucky nights and shortly after I started nursing him to sleep, now I feel like I made a big mistake 🙁 He sleeps in a rock n play and we also want to work on transitioning him to the crib. It seems like teaching him to go to bed with Daddy, falling sleeping on his own, and crib transition would be a bit much for him all at once and I am wondering where to start! Hi Rachel! I would wait with any major changes until the regression or growth spurt subsides a bit, otherwise you are going to have one heck of a time trying to get your little one to cooperate. Just wait about another week and start fresh with teaching him him to fall asleep on his own in his crib. It shouldn't be too hard since he was already falling asleep on his own, you might just have to remind him. Good luck! Glad you found my site helpful! I can try to answer your questions. 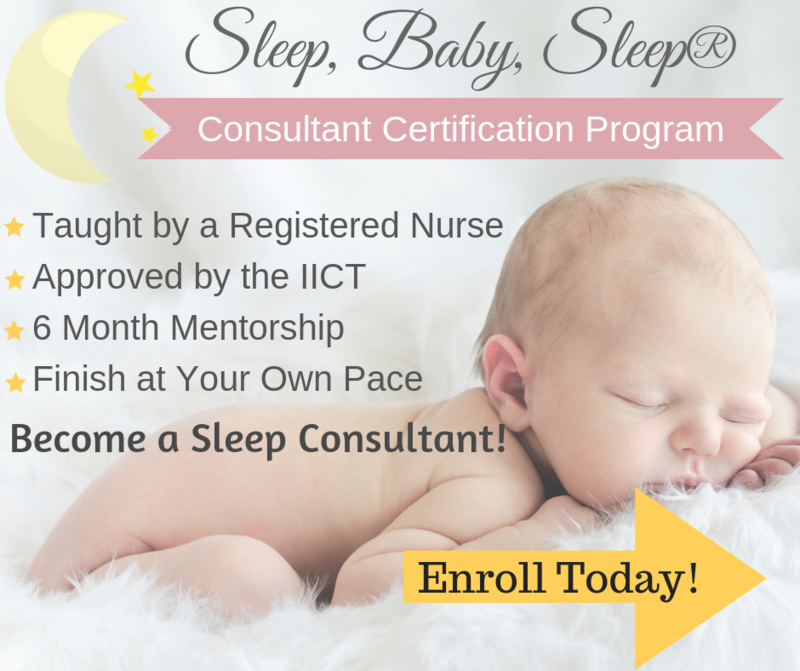 Should you need more help or a step by step process in teaching your baby to sleep better, then I would recommend one of the consultation packages. Hi Violet, thank you for helping me out! Here is my current situation with baby boy. He used to sleep 11-6 or 10-5 at around 2 months. He sometimes put himself to sleep in his rock n play(which he is still sleeping in) after being nursed. But not always. But if he woke up during the night, he would usually put himself back to sleep. He has been sleeping in our room. After he turned 3 months, and had quite a few mental milestones and growth spurts, this all went out the window. we also took a few trips out of town and therefore out of our routine. But i did keep a strict bedtime routine even when we were away. Its been a week since we've been back home and I'm tired of using the "growth spurt" excuse. For a few weeks, he was genuinely hungry during those middle of the night wakings. But in the last week or so, his nursing has gone down to 5 min before he's asleep again, and is more comfort nursing then feeding, and last night was the first night where he clearly didnt want to be bounced, or shushed (he woke up 3 times!) and when I thought he was hungry, tried to feed him and as soon as he started to nurse fell asleep. Clearly he is using me as a paci, right? The paci has worked at times, but lately he gets more upset when i try to use that. Also, there's no difference to me between comfort nursing and the paci if he's dependent on either to get to sleep. How do I break this habit and get him back to the baby that used to put himself to sleep?! Also, I'd like to put him in his room and in his crib. I wish not to have to let him do any crying and in the past the shushing and patting sometimes worked but it seems nothing is calming him down anymore. Most Of my friends are telling me I need to let him CIO. What is your suggestion to get him in his room and back to falling asleep on his own? He has a strong association with being rocked in the rock n play, which is why I am scared of the crib…. You may not want to hear this, but this very normal and typical between 3-4 months. Please read my article titled "Sleep Regression" it will explain everything. Around this age many developmental things happen and it makes it really hard for our little ones to fall asleep. It may be a few weeks before things improve, but until then do your best not to start any bad habits like nursing to sleep. Keep him awake during feedings, you can read my article about "How to teach your baby to fall asleep independently". Good luck! Help! My 4 week old boy wants to nurse consistently on the four hour mark during the day but every two hours at night! I know he can go longer than that, and often only nurses for 10 minutes at those two hour feedings. Is this just day/night confusion? How do I get him to sleep through the full four hours at night too? I am afraid to start bad habits but don't want to be too strict since he is still so little. I want to start sleep training as of Monday as my bubba will be 9 weeks on Saturday and I want to do it before he hits 12weeks (3months) but when I put him down on his own now he fidgets fidgets fidgets then end up crying a lot? how am I ever going to sleep train if he cries, cos when he cries I have to pick him up to calm him down?